Servicing through Brisbane, Gold Coast, Toowoomba & Ipswich. At QLD Car Wreckers, we offer clients free and efficient car removal services throughout Queensland. Our services include the purchase and removal of old, junk and scrap cars from the car owners. We provide car wrecking and valuation services for vehicles of all brands and models and buy them with damage, missing or non-functioning parts, etc. Our company does not distinguish between cars and their condition at the time of purchase. There are certain advantages to using the services of our company. 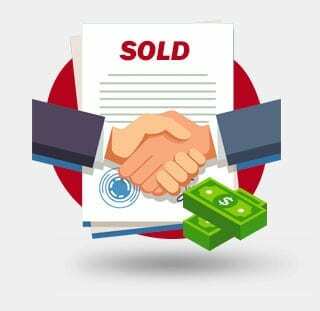 We pay good prices in exchange for vehicles in any state, Good or Bad, Running or not running and the prices range from $4,999 to $12,999. Since we have a local wrecking yard so easy to access for used spare parts, our prices are very affordable. Moreover, the valuation and cash for car removal services of QLD Wreckers are entirely free of charges. Further, our company is a registered recycler, so we try to salvage whatever parts we can from old cars before we dispose of the vehicle. The method of this waste disposal is eco-friendly and does not affect the environment negatively. Instant Cash Paid For Brisbane Southside & Northside, Gold Coast, Sunshine Coast, Toowoomba, Rocklea, Oxley, Ipswich, Eastern & Western Part. We are an auto recycling company provide permanent car removal solution for old, scrap, junk and unregistered cars. All you have to do is contact us for free quote services & we will be happy to buy it. We offer online quick cash quote for vehicles through the filling of an online form within an hour. Clients could also ask for professionals to assess the vehicle at their location, and this too is free of charge. Customers do not have to worry about the valuation of the car because we offer them the best price for their vehicle in the market. Brisbane Car Wrecker offers its services to buy scrap cars for maximum prices as per the current rate of scrap metal. We do have the ability to scrap more than 120 vehicles per day and tons of scrap metal send to the recycling centre. Scrapping vehicles is an art in the automotive industry to control the pollution and toxic gases. So the Australian government instruct to the road authority to demolish all sort of unwanted vehicles. Our important part of wrecking industry also is scrapping all sort of vehicles that no longer in use or written off. We welcome every car owner to join with us for free scrap car removals program and get paid at your home. Sit and cars from the location of your vehicle only. We have been avoiding evaluation at our Junkyard. Enjoy near me benefits to find car wreckers near my or Brisbane wreckers that pick up cars from home. Deal with us headache free for such type of vehicles now- the car condition, paperwork, free towing etc. We are willing to purchase old cars, damage due to constant use or natural disaster, and those having non-functional and missing parts. There are no additional charges for the removal of vehicles from central locations, and the seller does not have to pay for any paperwork at the time of the sale. We Buy Scrap, Old, Unwanted, Accident or Second hand, Mechanically Faulty or wreck Vehicles. There are a variety of categories under unwanted vehicles. Some may not function at all, some may function partly, some sustain damage and some are merely old. However, the user may not be able to distinguish the category, and expert opinion may be necessary in such cases. Brisbane Car Wreckers offer prices as per the condition of the vehicle, which allows owners to earn good profits from their old automobiles. The firm can remove even those vehicles which cannot move at all because of their large fleet of trucks for vehicle removals. QLD Car Wreckers buy written off cars so we can dismantle them in our wrecking yard. Our team successfully complete all paperwork that belongs to the customer and related authorities for demolition as per EVL End of the vehicles life. Even the condition of the car does not matter for recycling and removals. Clients can be sure that they will get the correct value for their vehicle. Trust is the main factor for any business that establish a long term relationship with the customers. As long as you serve better you will receive recommendations as a bonus. QldCarWreckers is providing quality services to gain a high level of customer satisfaction. We are regularly exploring the areas of wrecking services so we can pick up vehicles quickly. We're now available on chat for urgent or existing customers to solve their requirements out of office timings. 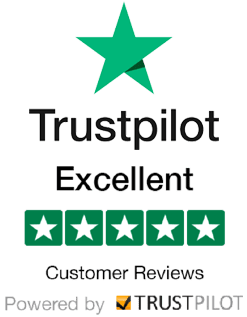 Customers can also check the top reviews website to check our quality of service. Auto Parts that will use in another car. All other parts, oil, and fluids are taken care of and disposed of or recycled into new products. Top Reasons to Find out That Why customer choose us to sell their vehicles. 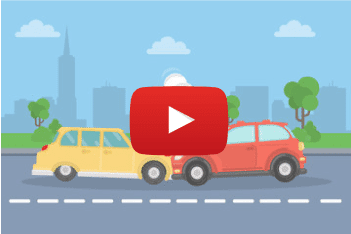 Why Sell Your Car To QLDCarWreckers? Our company has employees with ample experience and adequate training to deal with old, scrap and junk cars. That is one of the reasons why we can pay the best price for old vehicles in the market. The valuation and assessment of the car will do very carefully and accurately. The car owner does not have to produce any documents or paperwork to sell the car. Being able to prove ownership is enough to sell the car. We have many branches that make it easy for a large number of people to avail of their services. QLD Brisbane offers other services too such as providing spare auto parts. That is possible because they try to salvage all the viable and working parts of a car. It reduces wastage as the owners do not have to purchase new vehicles and can fix old cars or replace faulty parts. Customers do not have to worry about the quality of the parts. The professionals at QLD wreckers test the components before putting them out for sale. Thus, the auto parts are entirely safe for use. Find what we are selling in used auto parts. We are local auto buyers and very close to the south Brisbane region. If anyone wants quick cash for cars and belongs to South Brisbane, we are ready to pick up in the next two hours. As soon as you're ready to deal with us we will get it done as quick as possible. Somehow if you've running vehicle that very easy to sell it for cash. Hence, our Sell My Car for Cash Service provides obligation free quotation. So, give a call to our expert team members at any of our Branch. Furthermore, describe your car, truck, 4x4, vans or utes. We will evaluate the vehicle in our system and give you a quote in no time. What are you thinking? 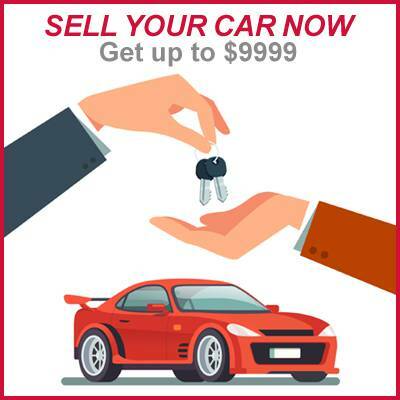 So, start selling your car to us in easy steps. We can scrap anything in a matter of minutes. All you have to do is call us to scrap your unwanted car and truck today! At Brisbane Car Wrecker, we offer a premium price for your cars or trucks. We can remove any car or truck or 4x4. We pay cash on the same day as well as provide 2-hour service. Our driver will be at your door in 2 hours or the next business day at the latest. We take pride in our job. Moreover, we ensure the same from our partners in the recycling industry and also, dispose of them responsibly. 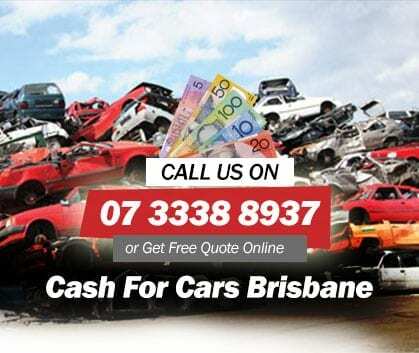 Thus you can call us the car removals & Car Wrecker specialists and No.1 Cash for Car Wreckers in Brisbane. 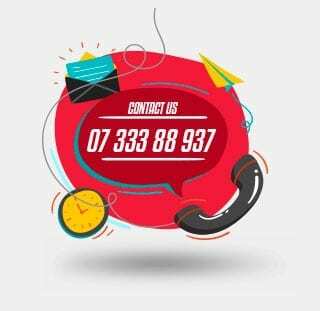 If you wish to get free Quote, call us on 07 3338 8937. Furthermore, mostly our auto wrecking services apply to the entire Brisbane Region Queensland. However, you can get the Quick and Efficient services from the Gold coast, QLD through to the Sunshine Coast, QLD including Toowoomba & Beenleigh, QLD. Feel free to call us for more details. Check out Qld wreckers locations for more information. 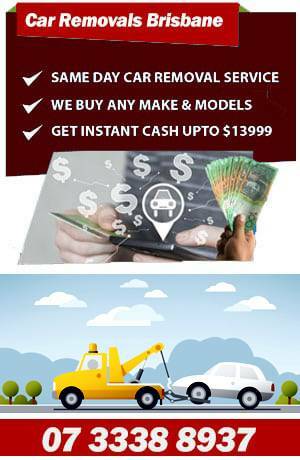 Western suburbs or Westside involves the more significant part of Brisbane and Ipswich, Hence at Brisbane Car Wreckers make sure that there are always trucks available that side to provide our cash for cars, car removals & sell my car services. Thus we are only minutes away call us now if you are anywhere in the list below. Brookfield, Taringa, Westlake, Indooroopilly, Enoggera, Anstead, Bardon, Kenmore, Enoggera Reservoir, Pullenvale, Graceville, Auchenflower, Ashgrove, Riverhills, Corinda, Toowong, Upper Brookfield, Bellbowrie, Pinjarra Hills, Fig Tree Pocket, Mount Coot-tha, Sinnamon Park. Also, Sherwood, Mount Crosby, Chapel Hill, St Lucia, Mount Ommaney, Middle Park, Ferny Grove, Upper Kedron, Jindalee, Chelmer, Lake Manchester, The Gap, QLD, Moggill, Kenmore Hills, Jamboree Heights, Milton, Chuwar, Oxley, QLD, Kholo, Karana Downs. QLD Car Wrecker & Cash for Cars Cover all-region in the east or east side of Brisbane and Ipswich. Therefore do not hesitate to call or email us regarding your unwanted cars or scrap cars. We have listed some of the suburbs below, feel free to contact Brisbane car wreckers if you do not see your suburb there. Tingalpa, QLD, Carina, Wynnum, Lytton, Capalaba, QLD, Camp Hill, Norman Park, Lota, Chandler, Hemmant, Wakerley, Balmoral, Cannon Hill, Seven Hills, Hawthorne, Port of Brisbane, Moreton Island, Coorparoo, Ransome, Cleveland, QLD, Belmont, Carina Heights, Carindale, Morningside, Murarrie, Bulimba, Manly West, Sheldon, Carina, Gumdale, Manly. North of Brisbane is considered the business hub of Brisbane. With so many trucks & Cars on the north side, we service there with over five trucks a day. Hence if you are residing in the list below or you are on the north side of Brisbane, but you are not listed below, don’t worry! Give us a call, and we will provide you with a free quote. Call Brisbane Car Wreckers Northside now. Aspley, Wavell Heights, Banyo, Keperra, Zillmere, Virginia, Lutwyche, Fitzgibbon, Shorncliffe, Newmarket, Wooloowin, Gaythorne, Geebung, McDowall, Ascot, Stafford Heights, Bald Hills, Myrtletown, Nudgee Beach, Everton Park, Nudgee, Chermside West, Windsor, Stafford, Eagle Farm, Brisbane Airport, Gordon Park, Kedron, Sandgate, QLD, Mitchelton, Wilston, Northgate, QLD, Taigum, Grange, Carseldine, Pinkenba, Nundah, Clayfield, Albion, Boondall, Hamilton, Alderley, Deagon, Bridgeman Downs, Hendra, Bracken Ridge, Brighton Chermside, Caboolture, QLD and Bray Park. 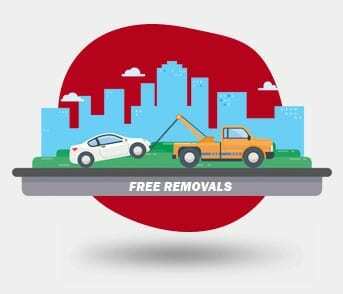 QLD car wreckers are one of the few companies that offer free car removal and purchasing services. Usually, people living in the suburbs have problems finding car removal service providers. These service providers also charge them very high prices. QLD car wreckers give the car sellers a relief from such expenses. Willawong, QLD, Archerfield, Mackenzie, Coopers Plains, QLD, Acacia Ridge, Upper Mount Gravatt, Sunnybank Hills, Tarragindi, Yeerongpilly, Darra, Yeronga, Sinnamon Park, Burbank, Doolandella, Tennyson, Dutton Park, Runcorn, Ellen Grove, Salisbury, Moorooka, Richlands, Mount Gravatt East, Calamvale, QLD. Furthermore, Holland Park West, Parkinson, Sunnybank, Sumner, Eight Mile Plains, Annerley, Heathwood, Forest Lake, Karawatha, Fairfield, Carole Park, Stretton, Robertson, Holland Park, Kuraby, Algester, Seventeen Mile Rocks, Durack, Macgregor, Pallara, Greenslopes, Wishart, Drewvale, Inala, Mount Gravatt, Wacol, Rocklea, QLD, Nathan, Larapinta, Rochedale, Mansfield. Moreover, we are here for you; you can call us anytime to get a free quote. Our Professional staff will guarantee your satisfaction. Inner Brisbane City or CBD is crowded with unwanted cars all the time, and it takes enormous space, also causes a problem for business people around the area. Brisbane Auto Wreckers Helps remove those unwanted cars or trucks. Also, South Brisbane, Woolloongabba, East Brisbane, Kangaroo Point, Paddington, Kelvin Grove, Fortitude Valley, Bowen Hills, Teneriffe, New Farm, High gate Hill, West End, Herston, Spring Hill, Camp Hill, Petrie Terrace, Newstead, Red Hill and more. "Hi guys, its been nice dealing with you. I have got a packed garage with some old rusted cars. I have posted an add on gumtree but no luck … than found you guys! can't believe i can get this much cash for those scrap cars." "Very friendly service ! i am impressed with this top cash you guys gave me for my old scrap car. Just have one more question! do you guys also buy used trucks or vans ? my uncle has 2 old trucks which are not working.